Debenhams' nine-strong in-house PR team is part of a turnaround programme to reduce cost in the retailer's London and Taunton offices, PRWeek can reveal. The embattled department store has begun a consultation process to trim about 60 back office and central support staff from a team of 1,200, according to a report in the Retail Gazette. This is in addition to plans to shut down 50 underperforming stores over the next three to five years to help the company recover from net debts of £286m reporting a record £491.5m statutory loss for the 2018 financial year. Although the consultation process has not concluded, sources close to the process tell PRWeek it involves several members of the PR team, which is led by director of PR Christine Morgan. "While it is possible the size of the PR team will shrink, it is not that they will all go," one source, who asked to remain anonymous, said. 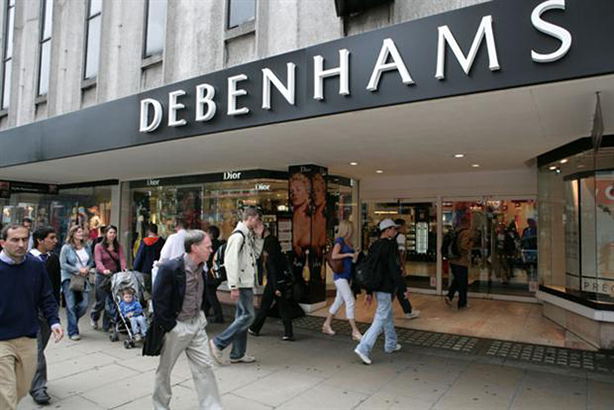 PRWeek attempted to contact members of the team, but was diverted to Debenhams' corporate agency partner Brunswick. The agency declined to comment to comment on the situation. Debenhams’ PR team is spread out over different departments, including womenswear and accessories; beauty and brand; mens, home and kids; and product, as well regional and corporate leads. In 2016, the high-street retailer brought all of its PR activity in-house, creating an expanded team of 13 PR professionals. Previously, the retailer worked with Lee Publicity on women’s and children’s fashion, and home goods PR activity. A "weak" trading period over Christmas led to a ratings downgrade by Moody’s and Debenhams' CEO Sergio Bucher and chair Sir Ian Cheshire were both removed from the board after a shareholder coup led by Sports Direct owner Mike Ashley, which has a 30 per cent share in the business. PRWeek understands the consultation process will take about seven weeks.